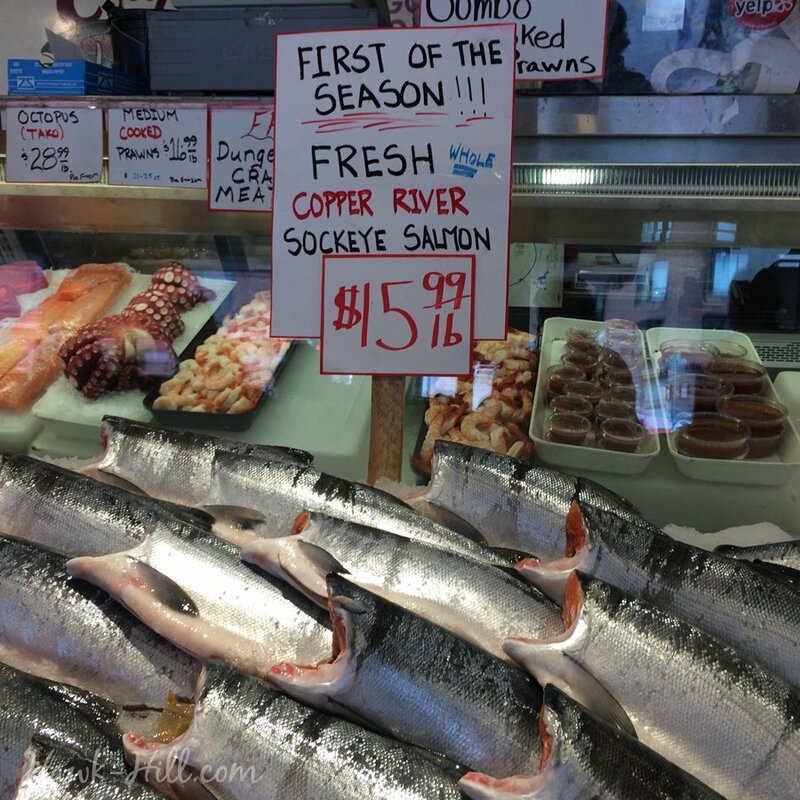 In many ways, packing for a day at Pike Place is just like packing for a day at most tourist spots, with a few pretty important exceptions that I’ve explained below. 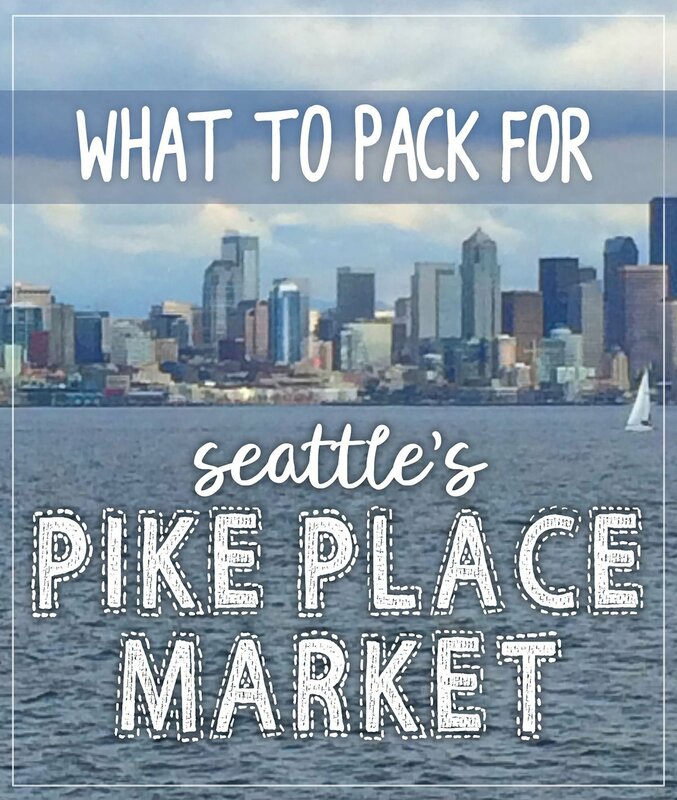 As I’ve become an unofficial tour guide of Pike for friends visiting from our of town, I’ve learned a lot about how to pack and prepare for a day at Pike Place and avoid many of the common mistakes. Here’s my list. Just don’t do it. I’m not kidding. Despite the rainy weather, Seattlites have a animosity towards umbrellas and jokes about tourists being identifiable by their umbrellas abound. On a more practical note, umbrellas just don’t work in Pike Place. 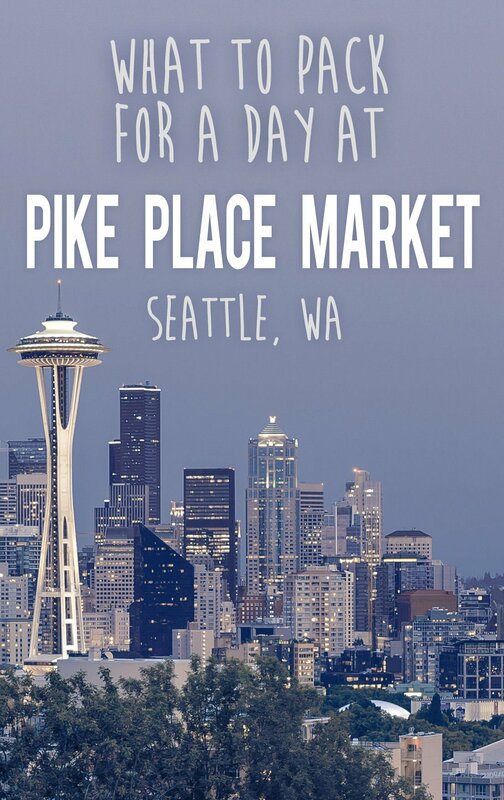 Pike is so close to the waterfront that winds coming off the Puget Sound make umbrellas almost useless- and when the rain is falling vertically, the crowded sidewalks downtown and at Pike Place means there’s simply not room for an umbrella. 90% of the rain in Seattle falls more like mist- so a raincoat will keep you dry and able to freely navigate the market. Seattle has low crime rates, but purse snatching does happen. Days at the market can be long, and with a purse on one arm and a shopping bag in the other, it’s hard to have hands free to have the full experience. I always recommend a backpack for a day at Pike Place. You can browse hands free and store your purchases in a safe spot. 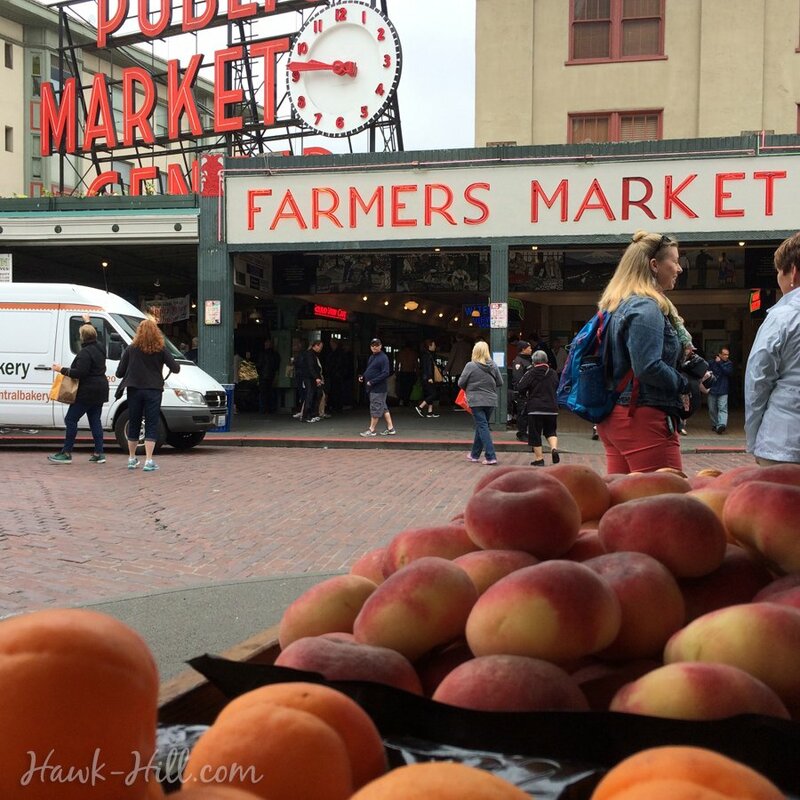 Vendors and shops around Pike Place aren’t the most generous with bags, due to Seattle’s laws limiting plastic bags, so having your own stowed in your backpack can be really helpful if you plan to do much shopping. 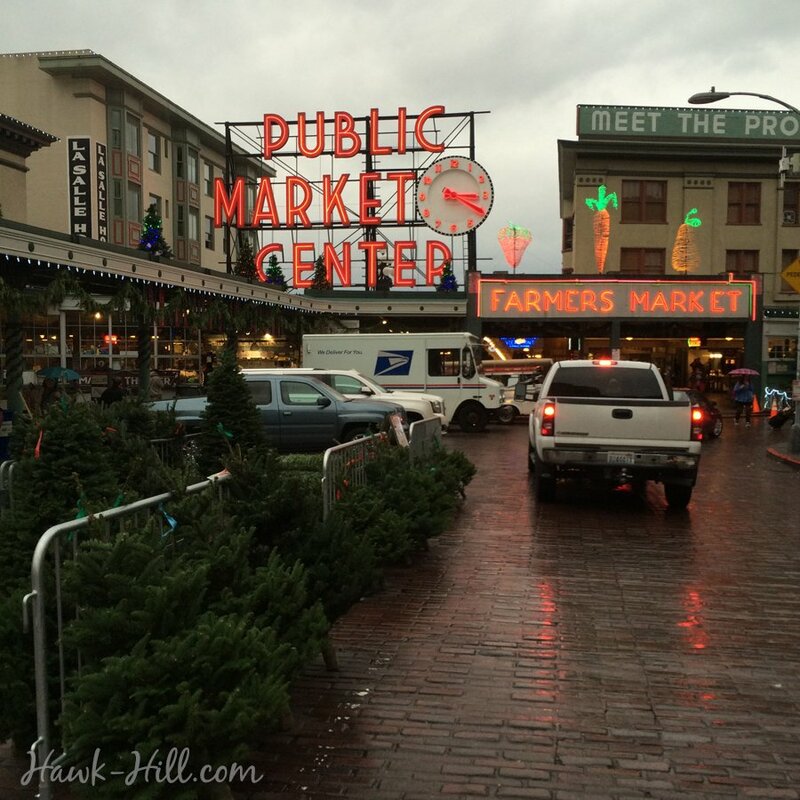 Finding parking at Pike Place Market is nearly impossible and costs upwards of $10 per hour that you are parked. In fact, with a state of the art light rail train connecting the airport to downtown/Pike Place, and a healthy competition between Lyft and Uber, Seattle is one place to skip bringing a car entirely. With so much within walking distance, and NO free parking near the city center, having a rental car can be a much bigger headache than convenience. Ride-share apps can get you anywhere you need to go in Seattle, without the headache of parking. Before you leave, download Lyft & Uber apps on your phone and sign up. Using referral links to sign up instead of signing up independently will get you free ride credits: Lyft will give you $50 in free rides by using this link to sign up and Uber gives $20 in free ride credits if you use a referral. These credits might be enough to cover your whole trip in Seattle, especially if you and your traveling partner(s) install the apps and take turns “paying”. Tip: Go ahead and sign up and enter your payment information before your trip. It wont charge you anything unless you use it, and it’s much easier to sign up while you are home. That way when you are traveling and frazzled you can just click the pickup button. Millions of people come to pike market every year, touch common surfaces, and then take food by hand from vendors offering samples. Not gonna lie- this totally grosses me out. 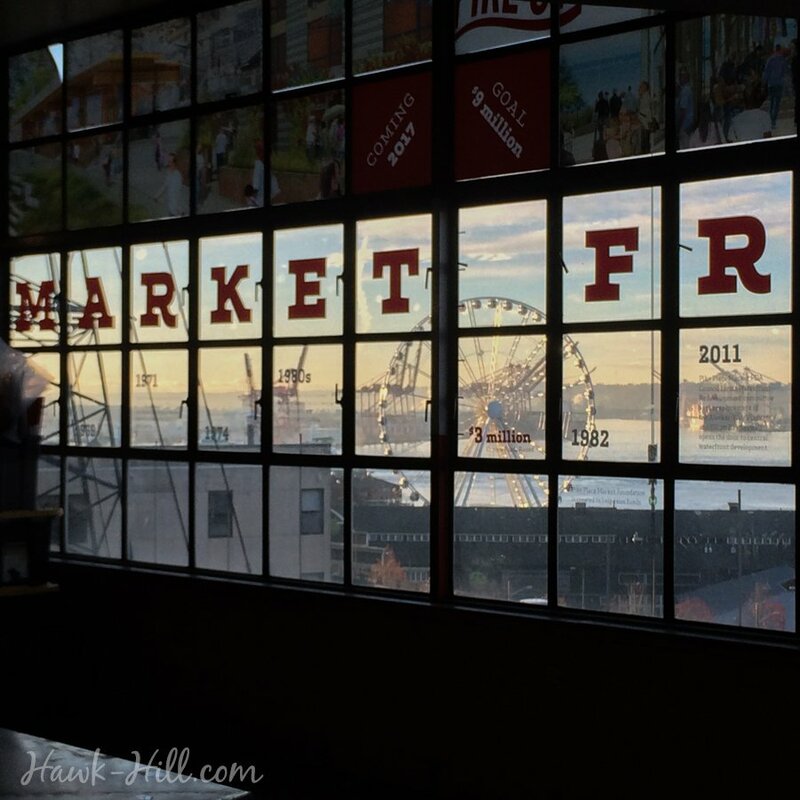 Pike Place Market is a grungy place. Seattle does well at keeping it tidy- but thousands of people touching common surfaces daily leaves even a healthy immune system quaking. Be sure and pack sanitizing hand wipes- not just sanitizing gel- so you can enjoy food and snacks with a little less worry. 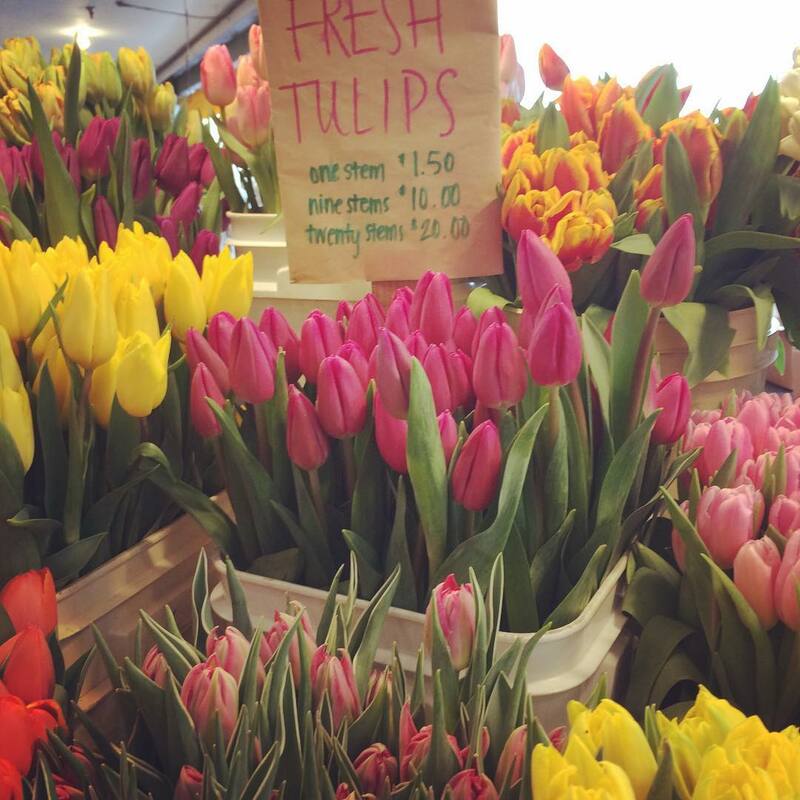 Pike Place Market is composed of local vendors and small businesses – it’s one of the few historic shopping districts that have kept chain stores out- which means often there is a fee added for credit card payments or, in some popular places, a cash only policy. The few nearby ATM’s have high transactions fees so you may want to plan a withdraw, before you leave home. Chewing Gum – The “Gum Wall” is iconic, and participating instead of just viewing is a great memory / photo op. Sunglasses – Even if it’s rainy. Trust me on this one. Water bottle – Most of the food choices are street vendors, plan ahead so you don’t find yourself shelling out for the three buck bottle of water. That’s my list of what to bring and what not to bring- what about you? I’d love to hear suggestions and feedback in the comments!